Getting the most out of your games console can be tricky. You might, for instance, be subject to the size of your console’s hard disk drive, or the quality of your controllers. It’s also not uncommon to find that not all games take full advantage of the hardware of your console, and when you’re not playing games the full power of your device is left idling while you go and do something else, such as checking emails or editing photos. The PlayStation 3 is a prime example of a games console that isn’t used to its full capacity. While it features some of the greatest games currently available, some of which regularly push the boundaries of gaming, it could be used for so much more, if only Sony would allow it. Of course, you don’t have to rely on Sony – all you need is a version of Linux tailored for use on an unlocked PlayStation 3, a keyboard and a mouse, and a few minutes later you will be running your PS3 like a PC! Hold On, Didn’t Sony Block This? When the original PlayStation 3 devices were released, Sony equipped them with the functionality (known as OtherOS) to accept a second operating system. Many users selected Linux Ubuntu for this (although Mac OS X has been successfully installed on a PS3) although Ubuntu variants are also available. However in April 2010 Sony announced that this feature would be removed from the PS3 with a forthcoming firmware update; PS3 Slim devices were already being sold without OtherOS so this was expected by many. Sony has never offered any justification for the decision, but it is thought to be an anti-piracy measure. Initially, only PS3 devices that stayed offline and didn’t receive the firmware update could continue to make use of OtherOS; it took several months for the solution known as OtherOS++ to be developed. Once again it is possible for other operating systems to be installed on a Sony PlayStation 3, thanks to the hard work of PS3 enthusiasts! Before you proceed with the installation of Linux on your PS3, you will need to configure the console with a series of tools that have been developed for installing and setting up OtherOS++. First of all, you will need a blank USB drive. This will be used to install some of the software tools used in the project. You will of course also need a PS3 – this can be any versions as all are suitable for the OtherOS++ setup. These are all available from https://www.gitbrew.org/~glevand/ps3/ where the latest versions of each can be downloaded. WARNING: Installing the custom firmware will compromise your ability to connect to the PlayStation Network. If you currently use this gaming service and enjoy it, think twice about following the instructions below! Begin by downloading the CFW and copying this to a blank USB stick in a folder called PS3/UPDATE. Safely remove the USB device and boot your PS3 into Recovery Mode, which is done by switching off your console and then switching it back on by holding the power button in for 10 seconds, during which time the console will beep twice and shut down. Power the device on, once again holding in the power button for ten seconds until you hear a double-beep and release the power button. If you have managed to launch into Safe Mode, you will see a message asking you to connect a controller. Once you press the PS button a menu will be displayed. Insert your USB device and on the menu select System Update. Follow any on-screen prompts to complete the process and your PS3 will restart; some configuration options may need to be reset. The next step is to reboot your PS3 into Recovery Mode once again, this time selecting Restore PS3 System. This configures your console’s hard disk drive, which makes it possible for you to install OtherOS++. Your console will then need to be booted normally. The follow steps will need the items in the previous section copied to your USB drive one at a time after completing each step below for easy installation. When you installed the CFW you added some additional menu items, so plug your USB device back into your PlayStation 3 and select Install Package Files from the Game > XMB. First of all select setup_flash_for_otheros.pkg, and once this has installed you will need to power down the console and then switch it back on to complete the procedure. Next, copy dtbImage.ps3.bin to your USB storage device and run the install_otheros.pkg. Follow this with boot_otheros.pkg and reboot.pkg. At this stage you should be in petitboot, so open the command prompt and run the create_hdd_region.sh script from the USB device. Once again, shutdown your PS3 and then switch it back on and boot into petitboot once more, where you should find a new HDD device listed, /dev/ps3dd. This is your OtherOS++ partition, where you will be able to install Linux! With a version of Linux (typically Ubuntu) downloaded and burned to disc, you will now be able to install the open source OS onto your PS3. 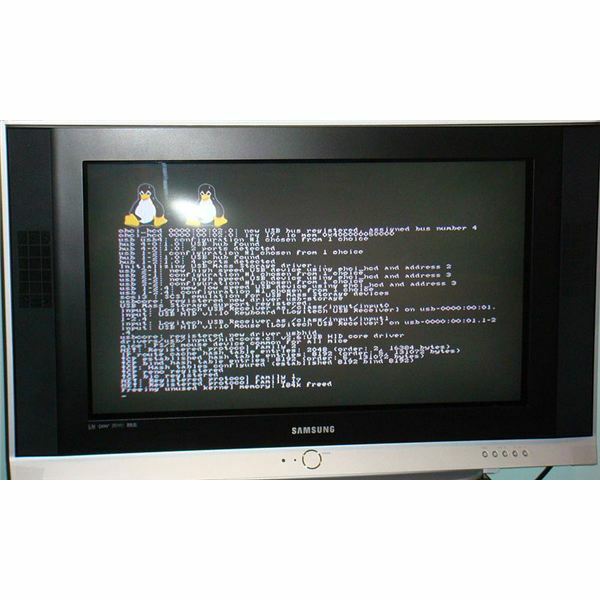 By now you have made several changes to your PS3 system and file structure, so simply boot the games console, run petitboot and open the command prompt. The instructions for the two types of PS3 console (the original NAND device and the more recent PS3 Slim) are as follows – this requires Internet access for your PS3. Follow any additional steps (confirming that you have partitioned the hard disk drive) that are required of you through to completion and the installer should soon finish, leaving you with a PlayStation 3 equipped with Linux!